Race in to Voltage Vapin’ and check out the Sigelei TOP1! Top it off with the classic Smok TFV 8 tank and fill up with the refreshing Galaxy Ice by Moon Mountain! 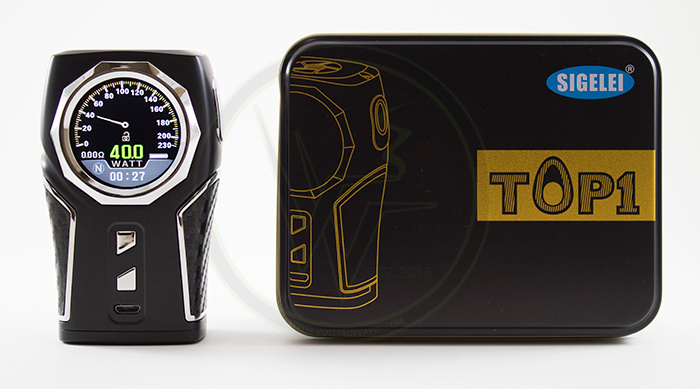 The Sigelei TOP1 is an excellent choice for all car lovers! Stop in today to pick up your new Sigelei TOP1! They go fast! You can’t beat a classic! The Smok TFV 8 tank goes great on the TOP1! Available in Stainless Steel, Black, Purple, Rainbow, and Green. 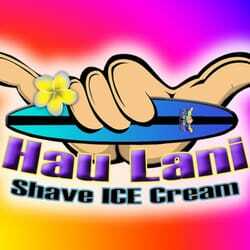 Looking for a great menthol flavor to cool you down while you’re out in the heat? 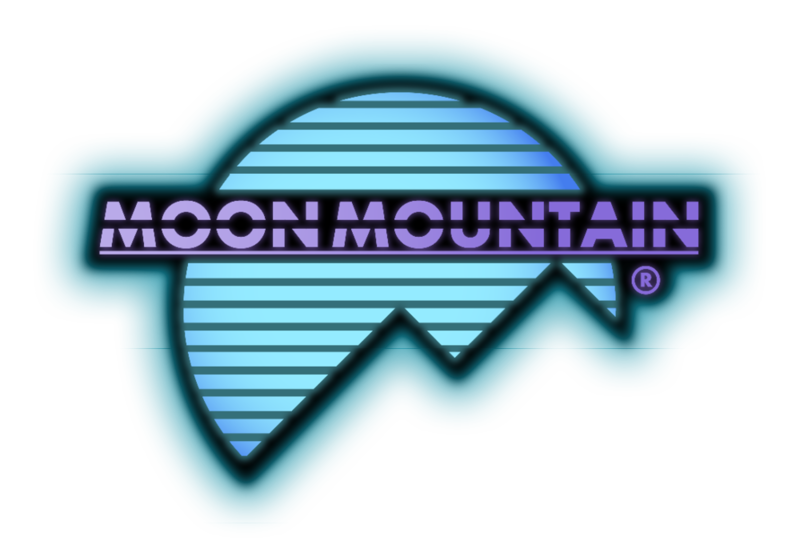 Try our Galaxy Ice from Moon Mountain! Galaxy Ice gives you the flavor of the most succulent grapes straight from the vine with the perfect amount of chill. 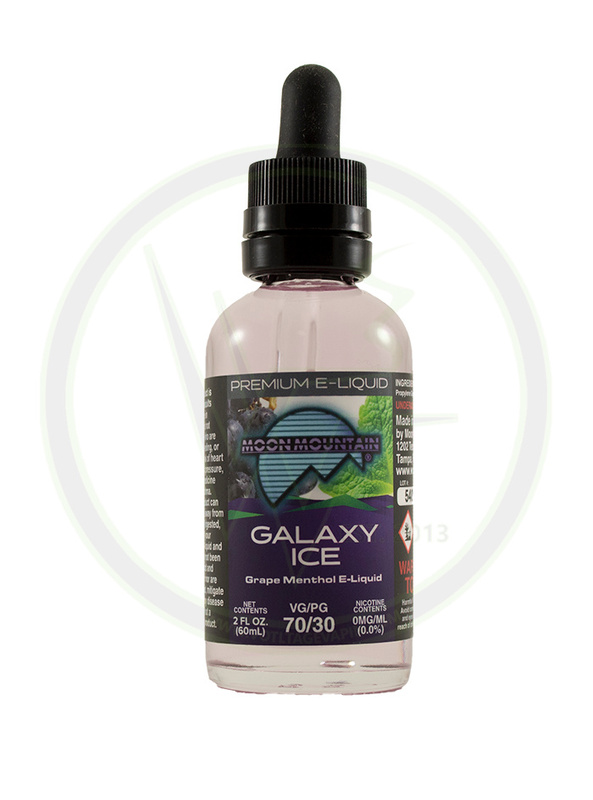 Swing by and pick up your bottle of Galaxy Ice today! The post Race in to Voltage Vapin’ and check out the Sigelei TOP1! Top it off with the classic Smok TFV 8 tank and fill up with the refreshing Galaxy Ice by Moon Mountain! appeared first on Voltage Vapin’. 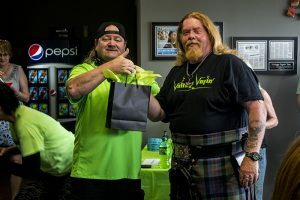 The post The Host of this Saturday’s Rebuild Class May 19th will be our very own Thor at Voltage Vapin’! 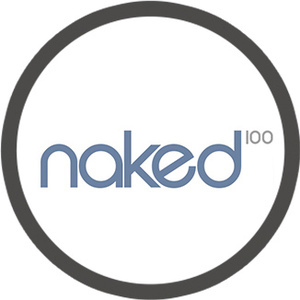 appeared first on Voltage Vapin’. 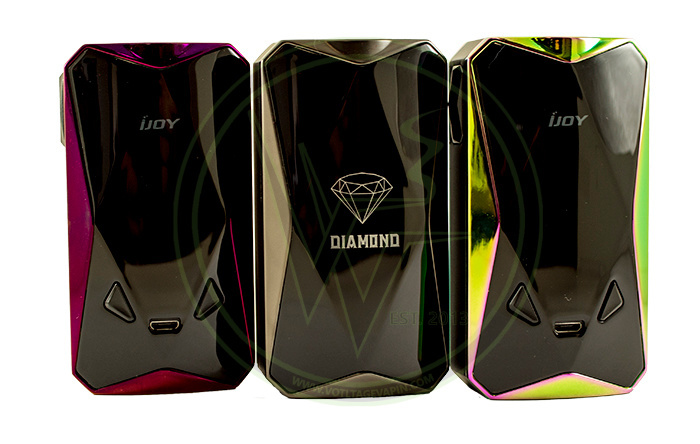 Stop by Voltage Vapin’ to check out the worlds first voice controlled mod, the IJoy Avenger! 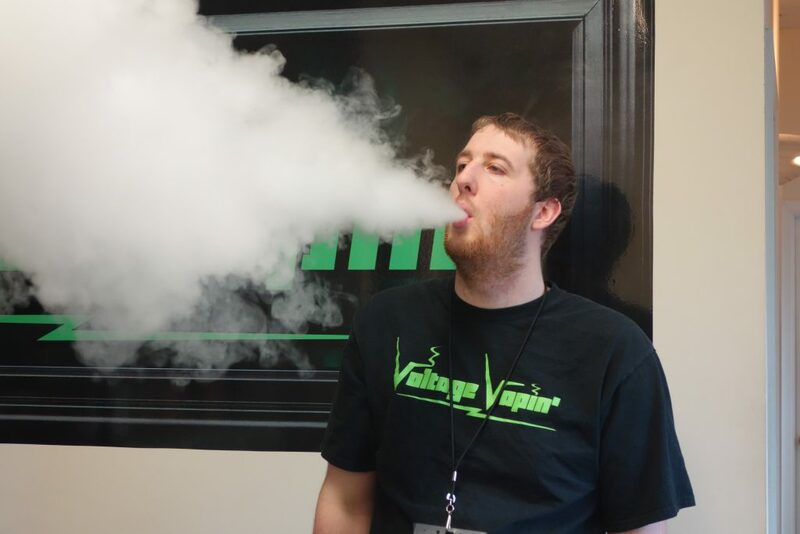 The future of vaping is at Voltage Vapin’! Introducing the new Avenger voice controlled mod by iJoy, based off of the tried and true PD270 platform. This new mod brings sound reactive LED’s. The voice control allows power adjustments and lighting mode/color changes without pushing any buttons. With the new device comes the new Avenger tank featuring mesh coils with wood pulp wicking material and dual layer mesh for maximum flavor. The IJoy Avenger kit also includes TWO 20700 batteries! Fill up your new Avenger tank with one of our great flavors from the Revenge line! 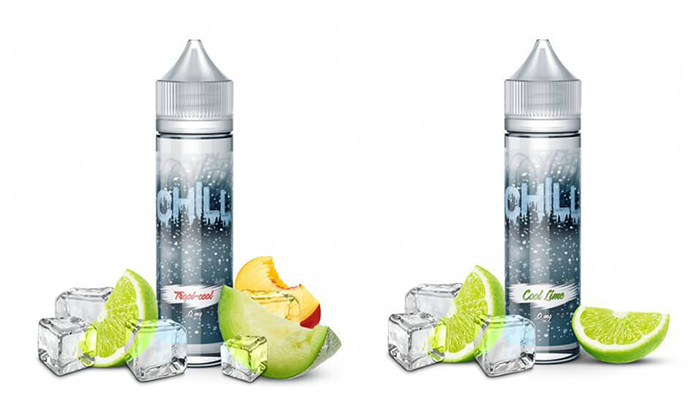 If you love candy flavors, you’re going to love these new liquids! Available in 100ml bottles in 0, 3, and 6mg. Pick up a bottle of your new favorite flavor today! The post Stop by Voltage Vapin’ to check out the worlds first voice controlled mod, the IJoy Avenger! appeared first on Voltage Vapin’. The HorizonTech Falcon tanks back in stock! They look great on the Sigelei X-Feng and there’s no better liquid to stock up on for the warm weather than the Squeez line! They came and went quick but the HorizonTech Falcon tanks are back in stock! Swoop in and grab your Falcon tank before they are gone again! The Falcon tank looks and performs great on the Sigelei X-Feng! 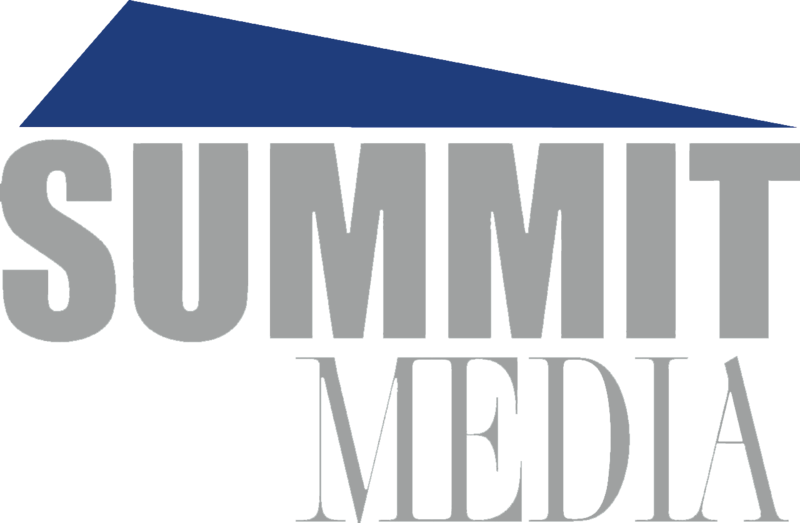 Be ready for the summer with our great summer flavors from Squeez! Sqeez is a line of refreshing lemonade flavors sure to quench your thirst for a new warm-weather vape! Stop in today and find your perfect summer vape with Sqeez at Voltage Vapin’! The post The HorizonTech Falcon tanks back in stock! They look great on the Sigelei X-Feng and there’s no better liquid to stock up on for the warm weather than the Squeez line! appeared first on Voltage Vapin’. Purchase a Limitless LMC Classic V2 Mod and any tank or RDA and receive 10% your entire purchase! Smok’s TFV12 Prince looks great on the Limitless V2! The baby of the super powerful cloud beast king, the TFV 12 Prince is not only a powerful one but also an all around sub ohm tank for daily use. The Prince tank features a clever top fill locking mechanism, 8ml liquid capacity, and a beautiful cobra resin drip tip. 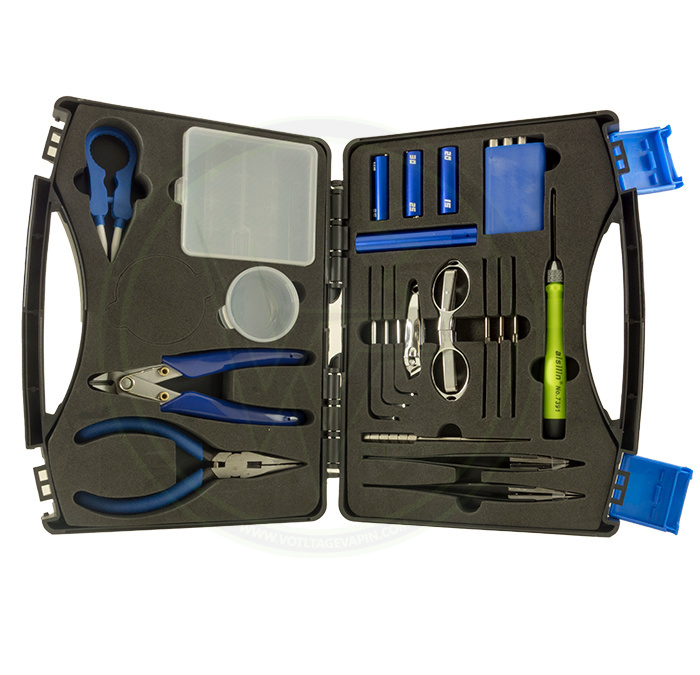 Included in the package are THREE different coil types so you’re sure to find your perfect vape! Pick up Smok’s TFV12 Prince today at Voltage Vapin’! 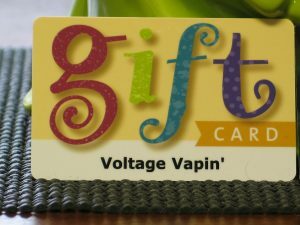 The post Check Out Voltage Vapin’s Sale of the Week! appeared first on Voltage Vapin’. We had a great turnout again for the rebuild class this Saturday. 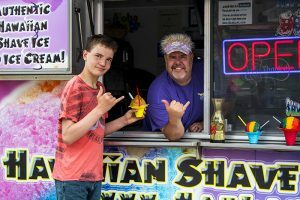 Everyone had a great time and Skyler taught a lot of people how to build their attys. 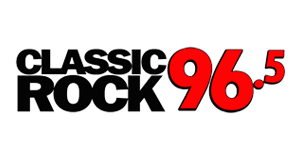 The next rebuild class will be from 2pm-4pm, on May 19th. Available in Blue, Silver, and Gunmetal. The Kylin Mini is the little brother to the very popular Kylin RTA. It features a single coil postless build deck, 180 degree honeycomb airflow, and a maximum liquid capacity of 5ml. 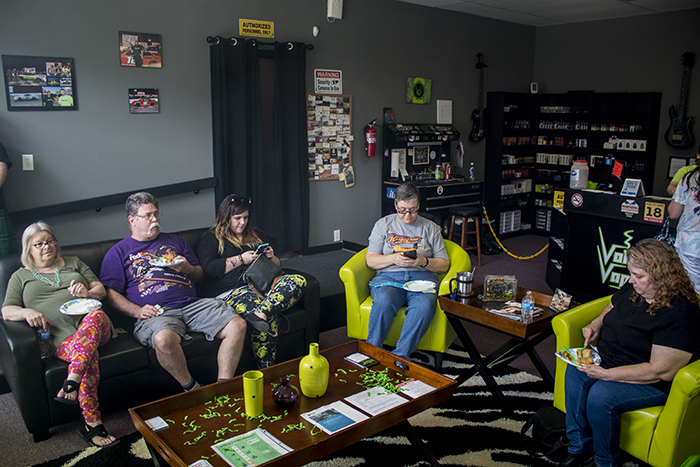 The post Thanks to our very own Skyler for teaching the Rebuild Class here at Voltage Vapin’! appeared first on Voltage Vapin’. the Smok Mag Kit with TFV12 Prince Tank! Pull the trigger with the Smok Mag Kit today at Voltage Vapin’! Find yourself breaking tanks alot? We have the resin expansion tanks with drip tips for the TFV12 Prince! Did you break your big 8ml bubble glass on your prince tank? We now have the acrylic expansion tanks that are much more durable and they even come with a matching drip tip! Make your tank unique by picking up one of the Tank and Drip tip combos! 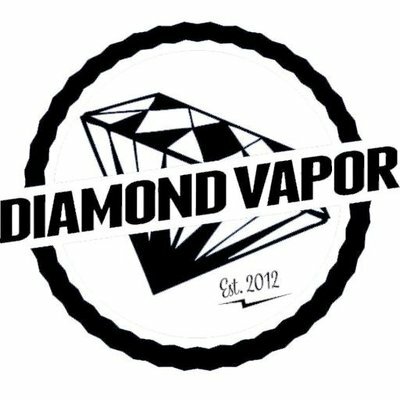 The post Voltage carries a wide variety of devices and accessories like… appeared first on Voltage Vapin’. 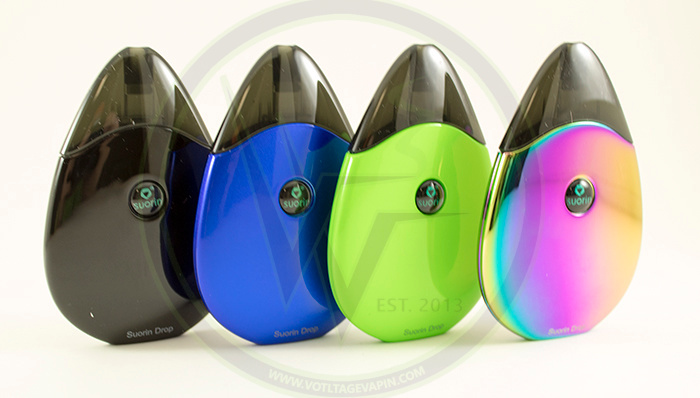 The post Don’t forget to swing by Voltage Vapin’ if your interested in a pod system! appeared first on Voltage Vapin’. A new flavor from Dinner Lady Liquids is in! Also, we have a new VSFA Family Member! Be sure to stop by and take advantage of this weeks Sale of the Week before it ends on Saturday! Lemon Tart from Dinner Lady has arrived! 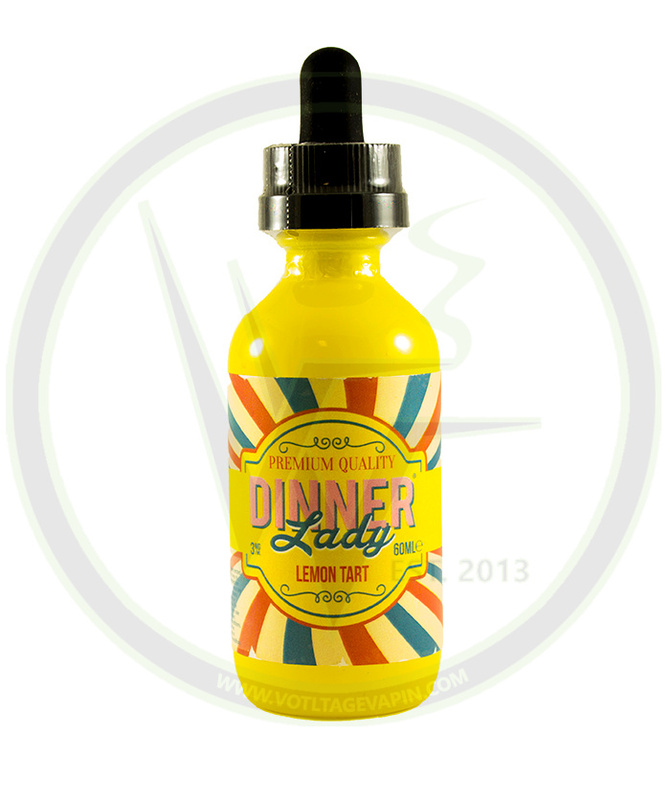 Stop by Voltage Vapin’ today to pick up your bottle of Lemon Tart by Dinner Lady! Please welcome Pete Wells as our newest member to the VSFA Family! 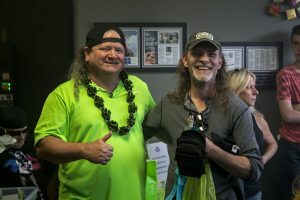 Pete understands what it means to fight for what you believe in, and today he proved it by becoming a new member of the Virginia Smoke Free Association (VSFA)! Every membership is a contribution to the VSFA. 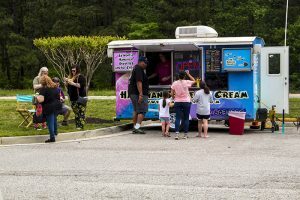 All contributions go towards promoting Tobacco Harm Reduction (THR) and advocating for the rights of vapers across Virginia. The VSFA is a non-profit advocacy group and trade association with a focus on Tobacco Harm Reduction, through the use vapor products. The VSFA raises funds through annual memberships with the purpose of promoting advocacy. We do this by building relationships with state and national representatives. In return for your support, all consumer members receive 15% off their purchases at any shop that proudly displays the VSFA logo. 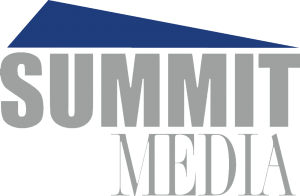 Annual consumer membership fee is 35$ and is valid through December 31, 2018. Don’t forget to stop by to take advantage of our Sale of the Week! The post A new flavor from Dinner Lady Liquids is in! Also, we have a new VSFA Family Member! Be sure to stop by and take advantage of this weeks Sale of the Week before it ends on Saturday! appeared first on Voltage Vapin’. Does mom like to squonk? 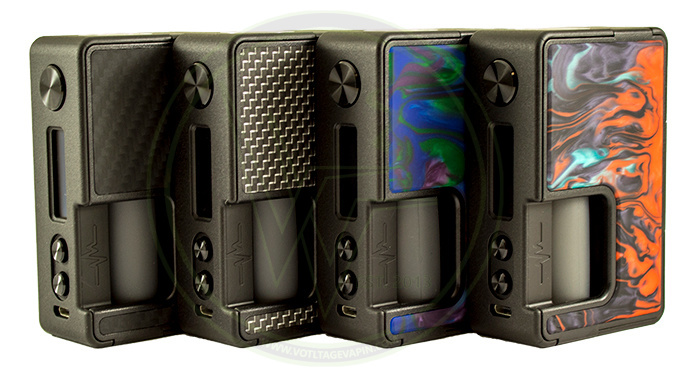 The brand new Vandy Vape Pulse 80w squonk box is a must have! The post Be ready for Mothers Day! Stop by and get your mom something special like the new Vandy Vape Pulse 80w sqounk box or the new Geekvape Zeus Dual RTA! appeared first on Voltage Vapin’. The Horizon Tech Falcon has landed and they pair great with the Smoant Cylon! Also, be sure to enter our drawing for a pair of WWE tickets! Horizon Techs new flagship tank, the Falcon, is in! The Falcon is a sub-ohm tank that’s all about flavor. Horizon really pushed the limits on innovation with these coils. Using several different materials such as flax paper, wood pulp, and flax fiber, the Falcon tank provides out of this world flavor while still maintaining some of the best coil life to be found in modern sub-ohm tanks. Despite its small size, the Falcon tank still boasts a 5ml capacity! Fly on in to be the first to pick up the Horizon Tech Falcon today! The Cylon is the perfect match for your new Falcon tank! The Smoant Cylon is a 218 watt, dual 18650 (sold separately) device. Featuring the highly accurate ANT218 v2 chip, the Cylon is capable of firing at a lightning fast 0.015 seconds. This device boasts a robust 1.3 inch TFT display with 2 UI options and 9 different background wallpapers. 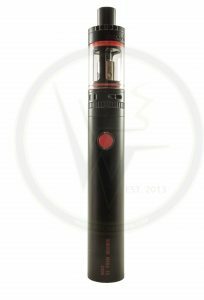 Stop by Voltage Vapin’ and get your hands on the Smoant Cylon Today! A pair of tickets to WWE Monday Night RAW! These tickets are for the event on Monday, May 28th 2018 at 7:30PM. May 22nd @ 11 a.m.! Tickets are compliments of XL102. The post The Horizon Tech Falcon has landed and they pair great with the Smoant Cylon! Also, be sure to enter our drawing for a pair of WWE tickets! appeared first on Voltage Vapin’. 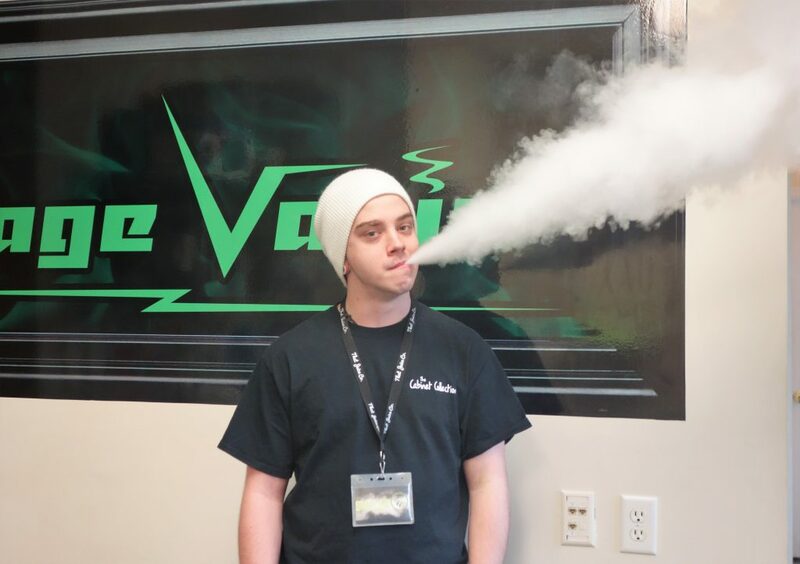 The post The Host of this Saturday’s Rebuild Class May 12th will be our very own Skyler at Voltage Vapin’! appeared first on Voltage Vapin’. Aspire Breeze 2 kits are in, The One Blueberry coming soon, and congrats to Destiny Woods on winning a pair of tickets courtesy of XL102! This just in! 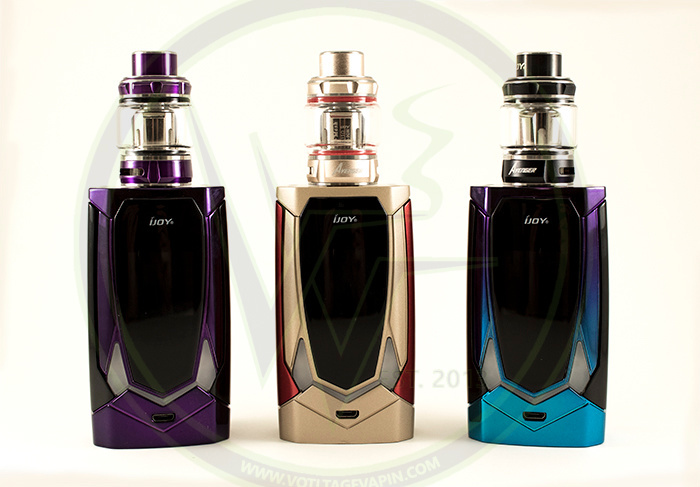 Aspire Breeze 2 kits are here and they are awesome! Aspire has done it again. The Breeze 2 features a new pod style system and improved fill method. Sticking true to its convenient and ergonomic design, the Breeze 2 now boasts an easy-to-fill removable pod. Simply press on the 2 release buttons on either side of the device to release the pod for refill. The Breeze 2 also features an improved 1000mah internal battery, 3ml liquid capacity, and includes a 1.0 ohm coil (designed specifically for use with salt nic e-liquid) and a spare .6 ohm coil. If you love The One Strawberry, The One Blueberry has arrived! The One Blueberry begins with freshly-baked, blueberry-filled donuts complemented with the perfect amount of frosted cereal and fresh blueberries then drenched in ice-cold milk. 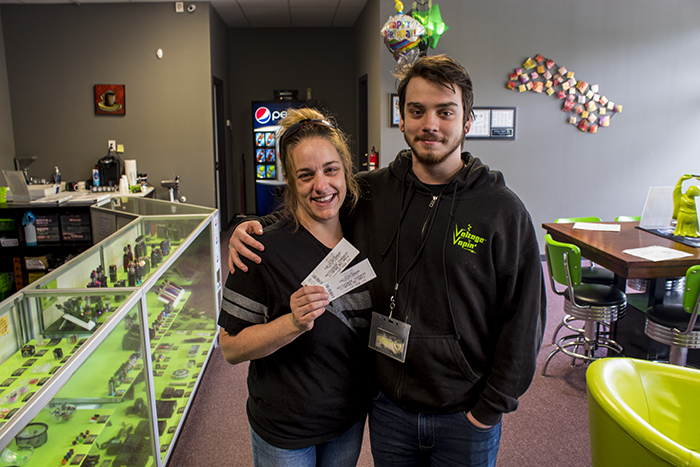 Congratulations to Destiny Woods on winning a pair of tickets to the Punk In Drublic Fest courtesy of XL102! 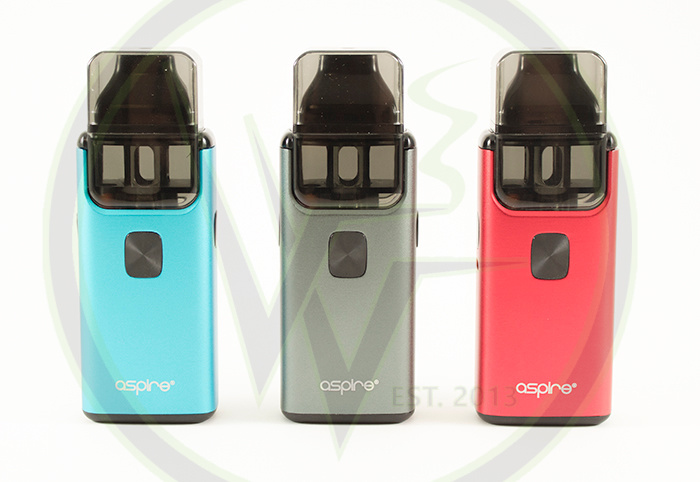 The post Aspire Breeze 2 kits are in, The One Blueberry coming soon, and congrats to Destiny Woods on winning a pair of tickets courtesy of XL102! appeared first on Voltage Vapin’. 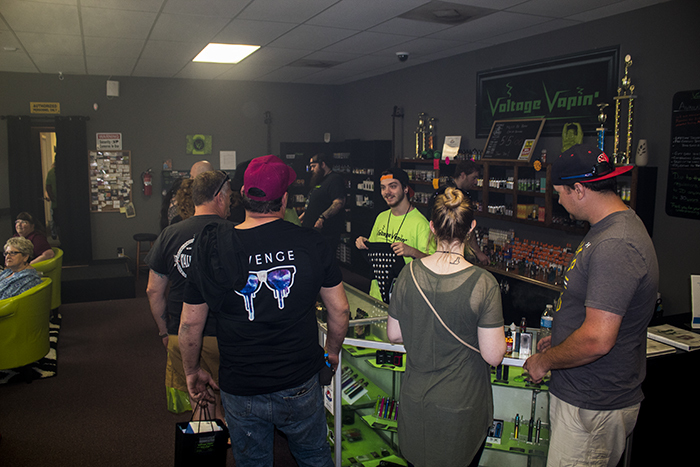 A HUGE thanks to everyone that came out to celebrate Voltage Vapin’s 5th Anniversary! 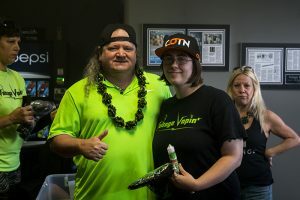 Thanks to everyone that came out to Voltage Vapin’s 5th Anniversary! This years turn out was amazing and you all made our party that much more electric! 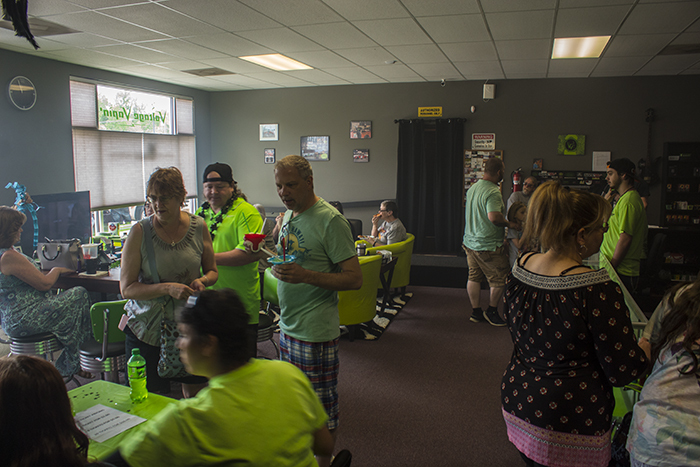 Seeing everyone enjoying themselves was great enough, but seeing them all enjoy themselves AND vaping made us want to party harder! 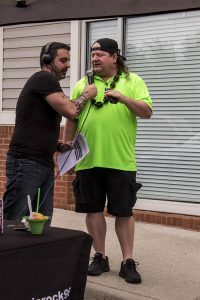 A HUGE shout out to Brady and his team from Classic Rock 96.5 and Summit Media for broadcasting the event, Bobby and the whole crew at Hau Lani Hawaiian Shave Ice for the delicious shave ice treats, and CiCi’s Pizza for donating the pies! None of this would have been possible without our sponsors who generously donated the awesome prizes for our raffles! Another big thank you to Tim MacLeod, Stuart Campbell, Griffin Spigle, and Issac Pinzon Leon of St. Andrews Legion for coming out and piping/drumming for us! There were so many prizes given away…look at all the happy faces! 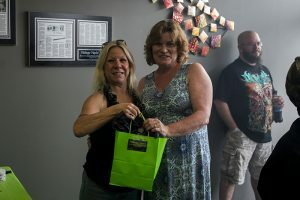 With your help, we we able to raise $373 from the raffle for the Virginia Smoke Free Association (VSFA). We want to give a special shout out to those who purchased raffle tickets for helping make this happen! Supporting the VSFA is very important. 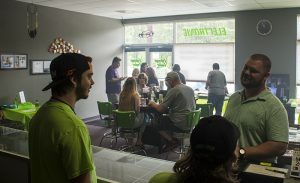 With the new FDA regulations and states around the country taxing vapor products and creating over reaching regulations, the VSFA is fighting to keep the Vapor industry alive! 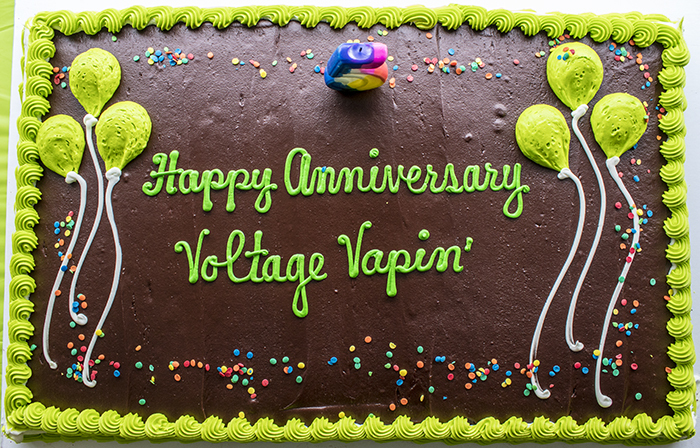 Voltage Vapin’ would like to thank all of our customers for helping us have such an amazing 5th year in business. 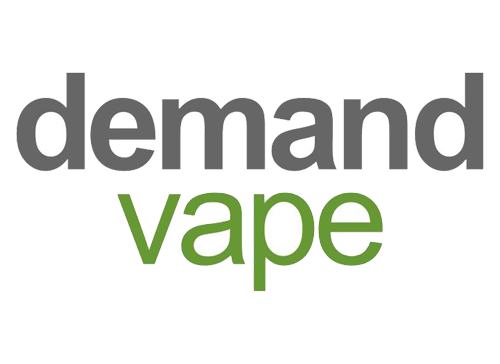 We hope to be here a long time to continue helping people make the switch to vaping. Thanks to everyone who came out to help us celebrate! 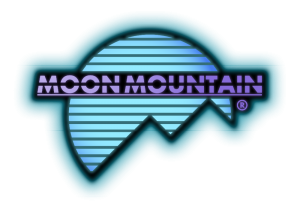 We hope to see you all next year at our 6th year anniversary party! Note: All sales for raffle tickets at this event required a Valid State I.D. to show that customers were over the age of 18. 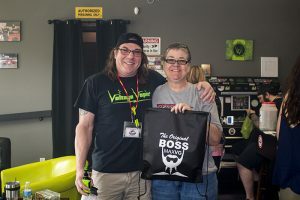 The post A HUGE thanks to everyone that came out to celebrate Voltage Vapin’s 5th Anniversary! appeared first on Voltage Vapin’. Fireluke Mesh resin expansion tank kits are here! Blitz resin expansion tanks w/ drip tips for the Fireluke Mesh have finally arrived! 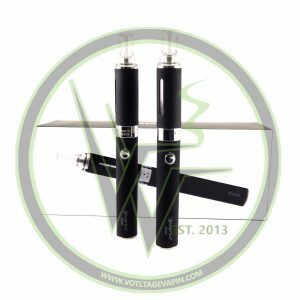 Many of you have been asking for them and Voltage Vapin’ is happy to deliver! These resin expansion tank kits not only increase the liquid capacity of your Fireluke Mesh, they also allow you to give your already unique Fireluke Mesh tank added flair and durability. 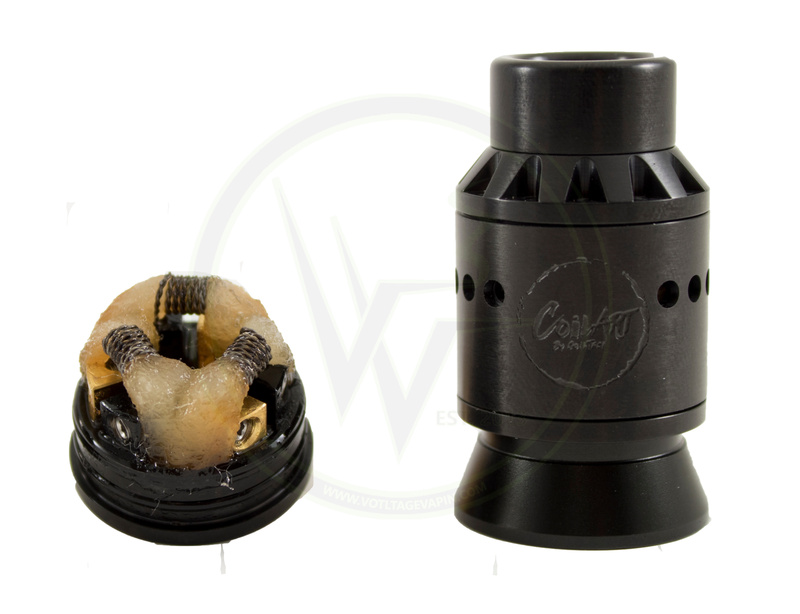 Each expansion kit includes one tank section with a matching drip tip! Come get your Blitz resin expansion kit for your Fireluke Mesh today at Voltage Vapin’! If you don’t already have a Fireluke Mesh tank, you’re missing out! The FireLuke Mesh Tank by FreeMax uses the latest in coil technology. Rather than a standard wire coil, a mesh coil is surrounded by cotton, allowing for 100% surface contact, even vaporizing of liquid, maximum flavor, and longer coil life! 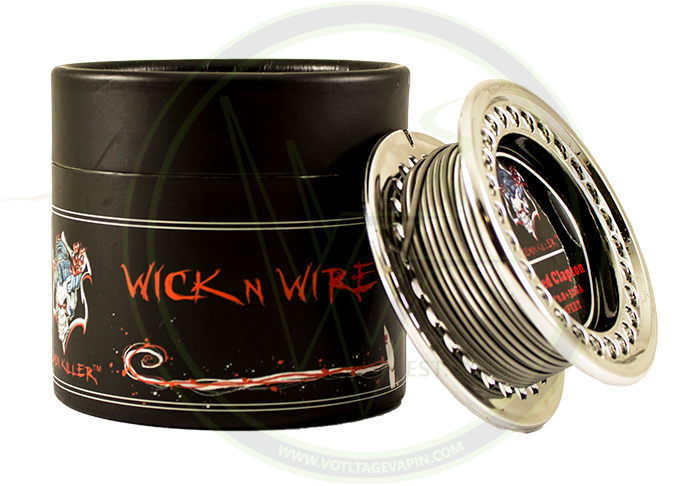 The 0.15 ohm coils can be run between 40 and 90 watts and the tank holds 3mLs of your favorite eliquid. Also featuring a resin body, the Fireluke Mesh is sure to be a hit! 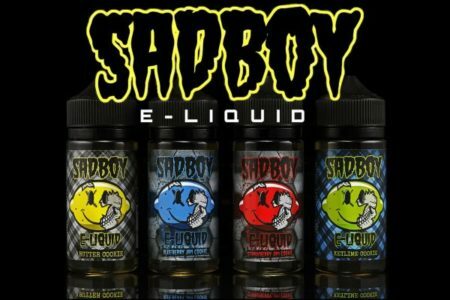 Fill up your Fireluke Mesh with one of the great flavors from Sadboy E-Liquid! The post Fireluke Mesh resin expansion tank kits are here! appeared first on Voltage Vapin’. 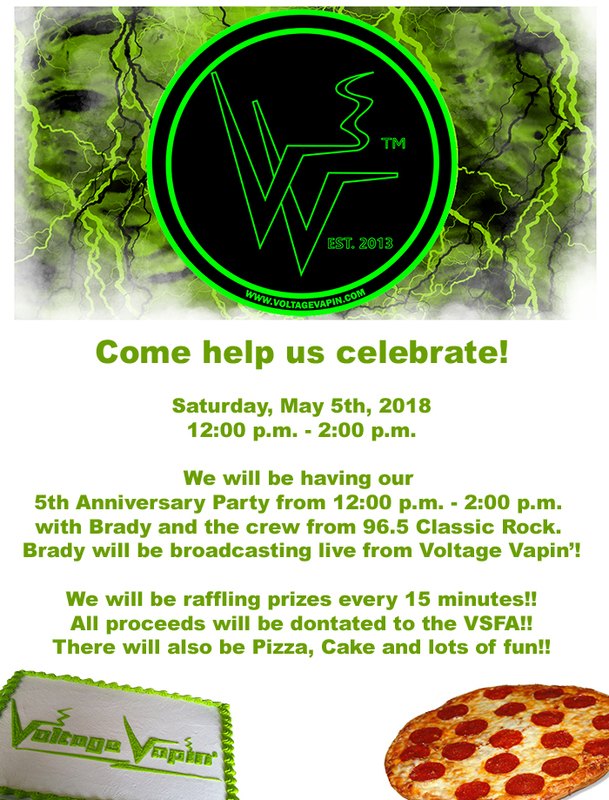 The post T-Minus 1 day until the Voltage Vapin’ 5th Anniversary party! Also, only 3 days left to take advantage of this weeks sale of the week! appeared first on Voltage Vapin’. The Voice controlled iJoy Avenger Kit has arrived! The Voice controlled iJoy Avenger kit is here! Introducing the new Avenger Voice controlled mod by iJoy based off the tried and true PD270 platform. This new mod brings sound reactive LED’s. The voice control allows power adjustments and lighting mode/color changes without pushing any buttons. With the new device comes the Avenger tank and mesh coils with wood pulp wicking material and dual layer mesh for maximum flavor. The first voice controlled mod now at Voltage Vapin’! The post The Voice controlled iJoy Avenger Kit has arrived! appeared first on Voltage Vapin’. The post Salt Nicotine E-liquids have arrived! appeared first on Voltage Vapin’. 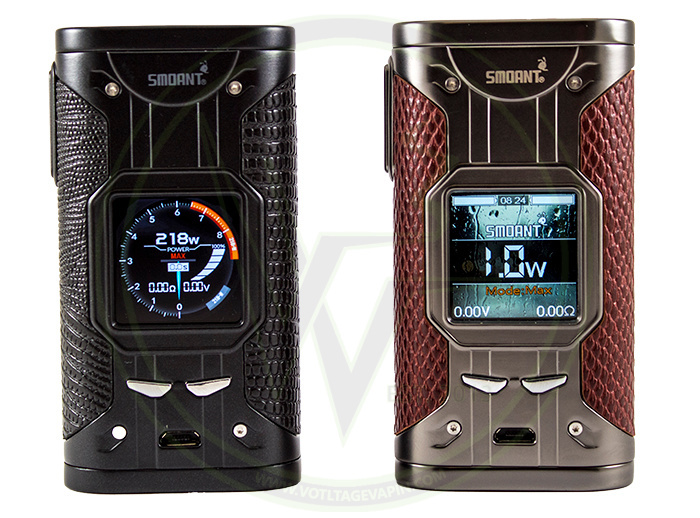 Voltage Vapin’ now has the Suorin Air and Suorin Drop Pod system Kits! The Suorin Air Starter Kit is Here! And yes, we do carry the replacement Cartridges for both! In case you were wondering whether you have an Air or a Drop, or debating picking one up we do carry the replacement pods for them! 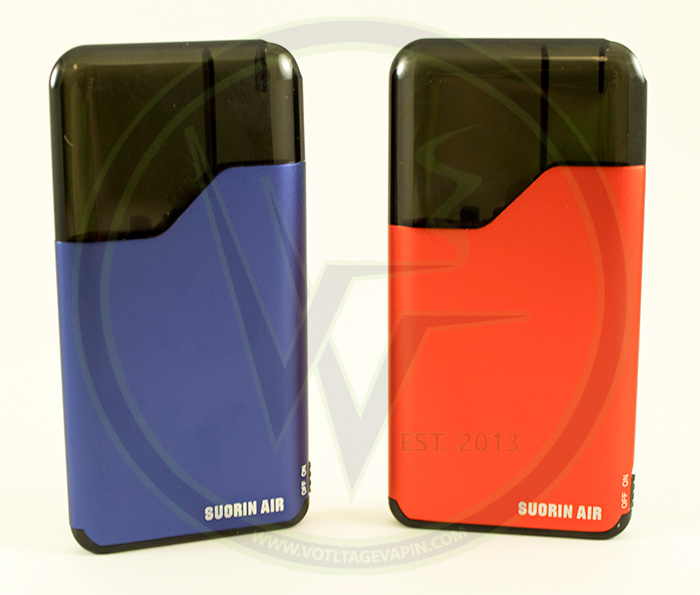 The post Voltage Vapin’ now has the Suorin Air and Suorin Drop Pod system Kits! appeared first on Voltage Vapin’.